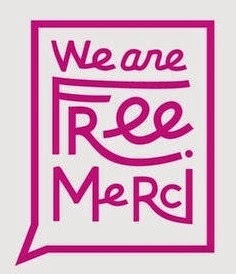 Parisians upload photos of themselves ("selfies") on Facebook or Instagram with the hashtag #WeAreFreeMerci. Click here for the entry form on Facebook. They collect votes from their friends. One lucky winner will be drawn from among the ten photos with the most votes. The prize? 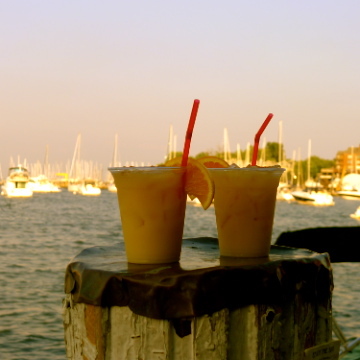 A trip for two to New York City, including accommodation. 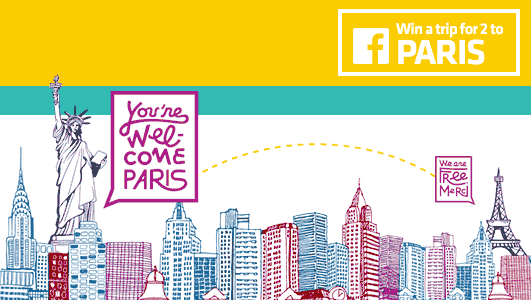 In return, Americans respond by posting selfies with #YouAreWelcomeParis on Facebook or Instagram. The winner will be randomly drawn from among the ten photos with the most "likes" . The prize is a trip for two from New York City to Paris, including lodging. Click here for the entry form on Facebook. The contest is open to legal residents of the United States, Puerto Rico and the District of Columbia, 18 years of age or older. The campaign, which officially started on May 5, will continue until June 27. The winner will be selected via a random drawing on or around July 2, 2014. 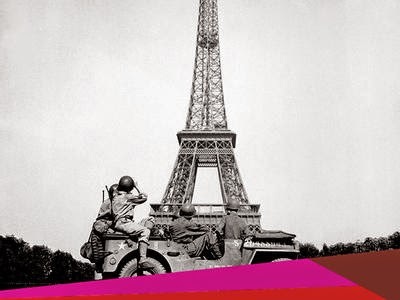 The Liberation of Paris, a key moment during World War II, lasted from August 19 until the occupying German garrison surrendered on August 25, 1944. The seventieth anniversary has given the region the opportunity to host a number of commemorations and festivities from March through August 2014. Click here to see the Paris Regional Tourist Office's "Liberation of Paris" guide. What a wonderful campaign--thank you for posting about it!